Send an arrangement that appears to have come straight from your garden! Hand arranged by a local florist with an array of seasonal flowers, this bouquet is ideal to celebrate every occasion. 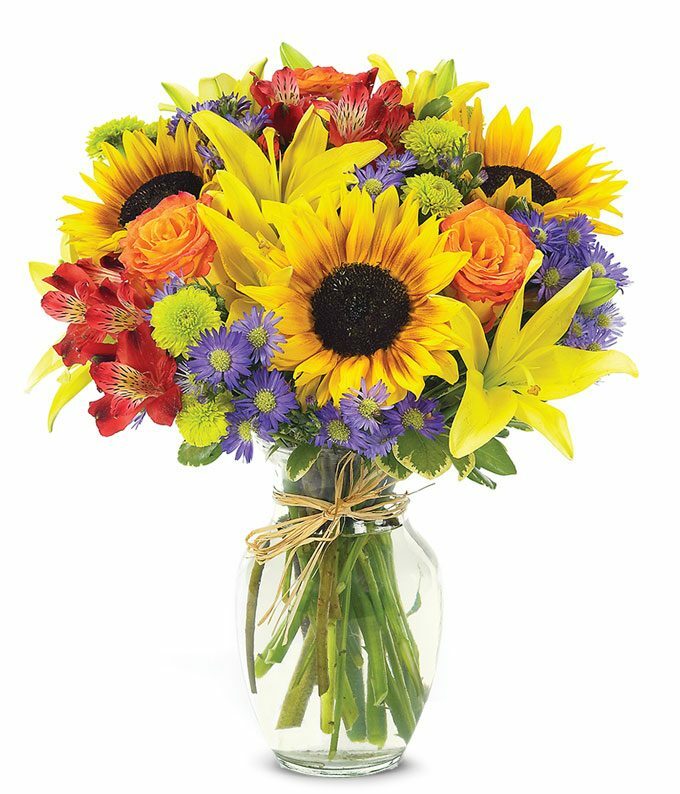 With sunflowers, yellow lilies, red alstroemeria and monte casino, it is a truly Summer bouquet. Delivered in a glass vase wrapped with raffia. Measures 15"H by 13"L.